According to the community directory Sunset Village is a popular, cozy, neighborhood nestled on tree lined streets with rolling hills and panoramic views. This Near West neighborhood is popular due to its great schools, involved community and family friendly housing. 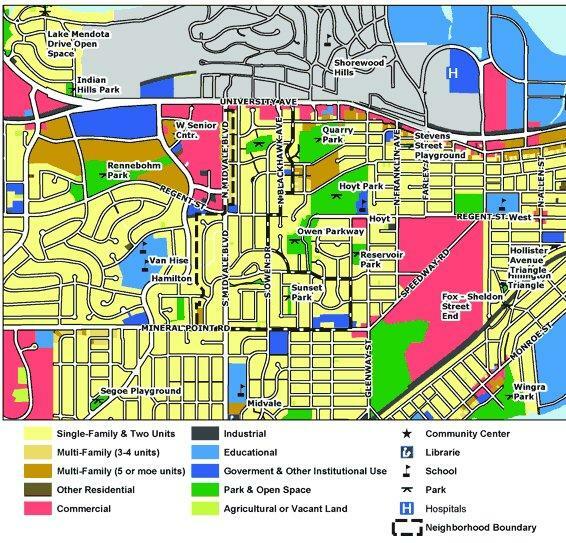 Sunset Village borders S. Midvale Blvd, allowing easy access to Hilldale Mall to the north and the Beltline Highway to the south. Here is a link to the neighborhood newsletter.